"The ultimate weakness of violence is that it is a descending spiral, begetting the very thing it seeks to destroy. Instead of diminishing evil, it multiplies it. Through violence you may murder the liar, but you cannot murder the lie, nor establish the truth. Through violence you murder the hater, but you do not murder hate. In fact, violence merely increases hate. Darkness cannot drive out darkness; only light can do that. Hate cannot drive out hate; only love can do that." -- Martin Luther King, Jr., quote from his 1967 book Where Do We Go From Here? 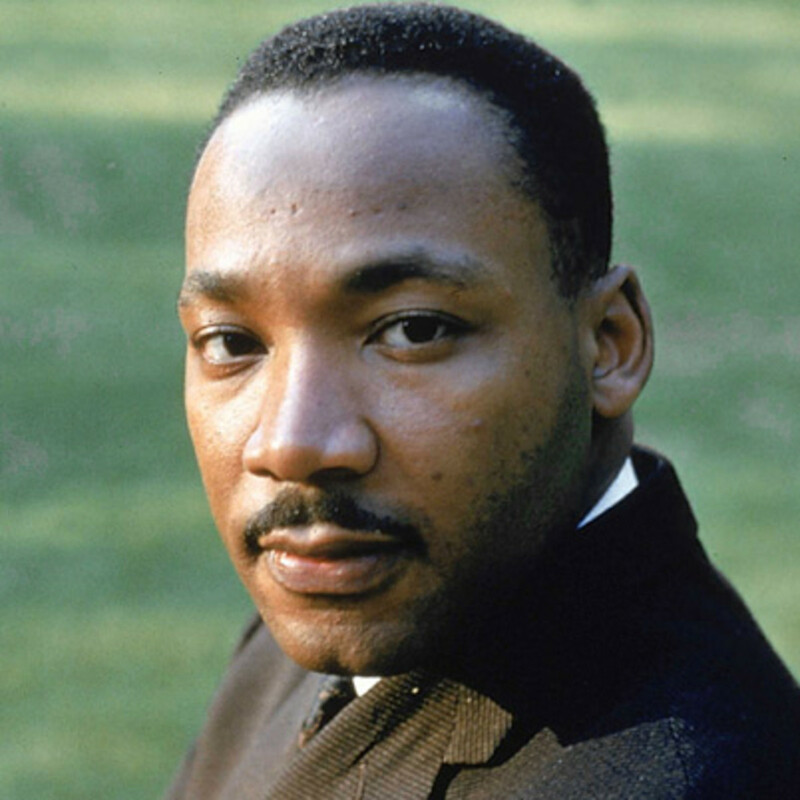 In honor of the 50th anniversary of the assassination of Nobel Peace Prize winner Martin Luther King, Jr. on April 4th, you will find here key quotes and links to numerous audio and video clips of this great, visionary leader of the last century. Excerpts are given from two of Dr. King's most moving speeches, "I Have a Dream" and "I've Been to the Mountain Top." I most highly recommend clicking on one of the links below to experience the way this great man's voice could so powerfully touch and move people. Let us open to these most inspiring words and allow them to move us to work together to powerfully build a brighter future for all who share our beautiful planet. The whirlwinds of revolt will continue to shake the foundations of our nation until the bright day of justice emerges. But there is something that I must say to my people who stand on the warm threshold which leads into the palace of justice. In the process of gaining our rightful place we must not be guilty of wrongful deeds. I have a dream that one day this nation will rise up and live out the true meaning of its creed: "We hold these truths to be self-evident: that all men are created equal." I have a dream that one day on the red hills of Georgia the sons of former slaves and the sons of former slaveowners will be able to sit down together at a table of brotherhood. I have a dream that one day even the state of Mississippi, a desert state, sweltering with the heat of injustice and oppression, will be transformed into an oasis of freedom and justice. I have a dream that my four children will one day live in a nation where they will not be judged by the color of their skin but by the content of their character. I have a dream today. I have a dream that one day every valley shall be exalted, every hill and mountain shall be made low, the rough places will be made plain, and the crooked places will be made straight, and the glory of the Lord shall be revealed, and all flesh shall see it together. This is our hope. This is the faith with which I return to the South. This will be the day when all of God's children will be able to sing with a new meaning, "My country, 'tis of thee, sweet land of liberty, of thee I sing. Land where my fathers died, land of the pilgrim's pride, from every mountainside, let freedom ring." And if America is to be a great nation, this must become true. So let freedom ring from the prodigious hilltops of New Hampshire. Let freedom ring from the mighty mountains of New York. Let freedom ring from the heightening Alleghenies of Pennsylvania. Let freedom ring from the snowcapped Rockies of Colorado. Let freedom ring from the curvaceous peaks of California. But not only that; let freedom ring from Stone Mountain of Georgia. Let freedom ring from Lookout Mountain of Tennessee. Let freedom ring from every hill and every molehill of Mississippi. From every mountainside, let freedom ring. Note: Don't miss the full text of this inspiring speech. Or watch the full video. Dr. Martin Luther King, Jr. was born January 15, 1929 and assassinated at the young age of 39 on April 4, 1968. Delivered April 3, 1968 in Memphis, Tennessee by Dr. Martin Luther King, Jr. This was Dr. King's last speech before he was assassinated the following day. Several years ago, I was in New York City autographing the first book that I had written. And while sitting there autographing books, a demented black woman came up. The only question I heard from her was, "Are you Martin Luther King?" And I was looking down writing, and I said yes. And the next minute I felt something beating on my chest. Before I knew it I had been stabbed by this demented woman. I was rushed to Harlem Hospital. It was a dark Saturday afternoon. And that blade had gone through, and the X-rays revealed that the tip of the blade was on the edge of my aorta, the main artery. And once that's punctured, you drown in your own blood – that's the end of you. It came out in the New York Times the next morning, that if I had sneezed, I would have died. Well, about four days later, they allowed me – after the operation, after my chest had been opened, and the blade had been taken out – to move around in the wheel chair in the hospital. They allowed me to read some of the mail that came in. And from all over the states, and the world, kind letters came in. I read a few, but one of them I will never forget. I had received one from the President and the Vice-President. I've forgotten what those telegrams said. I'd received a visit and a letter from the Governor of New York, but I've forgotten what the letter said. But there was another letter that came from a little girl, a young girl who was a student at the White Plains High School. And I looked at that letter, and I'll never forget it. It said simply, "Dear Dr. King: I am a ninth-grade student at the White Plains High School." She said, "While it should not matter, I would like to mention that I am a white girl. I read in the paper of your misfortune, and of your suffering. And I read that if you had sneezed, you would have died. And I'm simply writing you to say that I'm so happy that you didn't sneeze." And I want to say tonight ... that I am happy that I didn't sneeze. Because if I had sneezed, I wouldn't have been around here in 1960, when students all over the South started sitting-in at lunch counters. And I knew that as they were sitting in, they were really standing up for the best in the American dream. [They were] taking the whole nation back to those great wells of democracy which were dug deep by the Founding Fathers in the Declaration of Independence and the Constitution. If I had sneezed, I wouldn't have been around in 1962, when Negroes in Albany, Georgia, decided to straighten their backs up. And whenever men and women straighten their backs up, they are going somewhere, because a man can't ride your back unless it is bent. If I had sneezed, I wouldn't have been here in 1963, when the black people of Birmingham, Alabama, aroused the conscience of this nation, and brought into being the Civil Rights Bill. If I had sneezed, I wouldn't have had a chance later that year, in August, to try to tell America about a dream that I had had. If I had sneezed, I wouldn't have been down in Selma, Alabama, been in Memphis to see the community rally around those brothers and sisters who are suffering. I'm so happy that I didn't sneeze. It really doesn't matter what happens now. I left Atlanta this morning, and as we got started on the plane, there were six of us, the pilot said over the public address system, "We are sorry for the delay, but we have Dr. Martin Luther King on the plane. And to be sure that all of the bags were checked, and to be sure that nothing would be wrong with the plane, we had to check out everything carefully. And we've had the plane protected and guarded all night." And then I got to Memphis. And some began to say the threats, or talk about the threats that were out. What would happen to me from some of our sick white brothers? Well, I don't know what will happen now. We've got some difficult days ahead. But it doesn't matter with me now. Because I've been to the mountaintop. And I don't mind. Like anybody, I would like to live a long life. Longevity has its place. But I'm not concerned about that now. I just want to do God's will. And He's allowed me to go up to the mountain. And I've looked over. And I've seen the promised land. I may not get there with you. But I want you to know tonight, that we, as a people, will get to the promised land. And I'm happy, tonight. I'm not worried about anything. I'm not fearing any man. Mine eyes have seen the glory of the coming of the Lord. Read the entire text of Dr. Martin Luther King's inspirational "I've Been to the Mountain Top" speech. Watch the full 45-minute audio of this inspiring speech with video accompaniment. Listen to a song by rock band U2 titled "In the Name of Love" and written as a tribute to this great man. You can find an abundance of inspiring information on Dr. Martin Luther King's life and work in the Wikipedia entry available here. Below is an amazing, little-known excerpt from this Wikipedia entry describing a 1999 Memphis court trial involving a lawsuit by the King family questioning who was involved in the assassination of Dr. King. The U.S. media completely failed to cover this riveting trail and it's most astonishing outcome. "In 1999, Coretta Scott King, King's widow (and a civil rights leader herself), along with the rest of King's family, won a wrongful death civil trial against Loyd Jowers and "other unknown co-conspirators". Jowers claimed to have received $100,000 to arrange King's assassination. The jury of six whites and six blacks found Jowers guilty and that "governmental agencies were parties" to the assassination plot. William Pepper represented the King family in the trial." Mr. Pepper later wrote a highly revealing book, An Act of State, detailing what the U.S. press refused to present. The trial lasted four weeks and produced over seventy witnesses, yet the media gave virtually no coverage to the entire, highly revealing trial. The jury took less than an hour to find in favour of the King family. Explore the full transcript of this key trial. And watch an excellent seven-minute CBC (equivalent of Canada's PBS) clip of this highly revealing trial which found the U.S. government intimately involved in Dr. Martin Luther King, Jr.'s assassination. Share the inspiration of Dr. Martin Luther King, Jr.'s quotes, videos, and more with your friends and bookmark this page on key social networking websites using the "Share" icon on this page.